A lot of my friends and family have no idea what I do throughout my work day. Yes, they see commercials or print ads for my clients and know that I had a part in making those things happen, but day to day – many of them don’t know. Except that I’m in a lot of meetings, attached to my iPhone in case a client calls/emails and work late nights, early mornings and weekends. 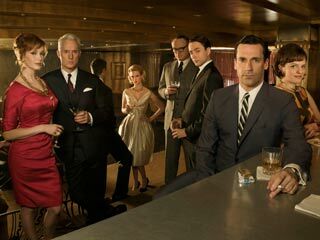 Yes, there’s Mad Men. But advertising/PR life today is a little different today. (For one, I am never that dressed up for work.) And the show The Pitch actually does a not bad job of portraying it. There have a been a few episodes so far. I had issues with the first few only showing the creative teams brainstorming and no account team members helping with strategy and direction but the last episode highlighted that more people are involved than an art director and copywriter. There are those of us that have the day-to-day contact with the client. That have to help sell in the idea. Listen to what the client wants (and is willing to pay for) and make sure we are delivering. Not to mention, we also have to do billing once a month. Yes, it’s long nights. Yes, sometimes there are disagreements. Yes, sometimes you have writer’s block and can’t put your finger on what the strategy needs to be. But then you get it. And there’s laughter. And insight. And more than anything – and the thing I adore about my job – teamwork. Over the last couple of week’s my team has gone through this. More than once, we’ve said (or tweeted) that we should be on the show The Pitch. The best part though – at the end of the day (or weeks), I’m insanely proud of the work we do, and the people I get to not only call coworkers, but also friends. This entry was posted in Uncategorized and tagged 2012, Advertising Girl, Advertising Life, Career, Loves, Overheard in the Workplace, Public Relations. Bookmark the permalink.